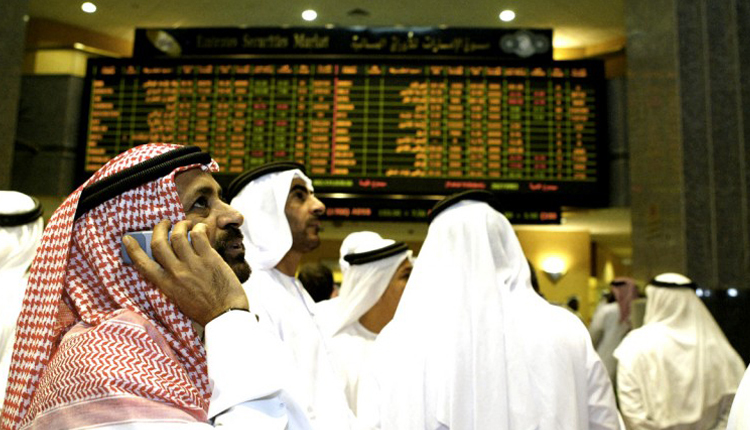 Saudi Arabia’s stock index opened lower on Monday as some stocks were weighed down by poor earnings and blue-chip stocks were lacklustre, while weak bank shares dragged Dubai and Abu Dhabi stocks lower. The Qatar market extended gains as investors greeted the news about the appointment of new heads to its giant state-run energy firm and deep-pocketed sovereign wealth fund as well as appointment of the CEO of its largest bank as its new trade minister. Saudi’s Tadawul bourse dipped 0.2 percent, as National Medical Care plummeted 10 percent on results that showed quarterly profit more than halved year-on-year. Qassim Cement fell 3.2 percent as its third-quarter net profit after zakat and tax slumped nearly 90 percent on Sunday. The kingdom’s heavyweights Al Rajhi Banking & Investment and Saudi Basic Industries Corp (SABIC) fell 0.4 percent and 0.5 percent respectively. Dubai’s main index dropped 0.5 percent, with bank and related stocks dragging the most. Eight out of nine of the sector’s stocks were in the red in early trading. Emirates NBD Bank, Dubai’s largest, dropped 1.6 percent, while Dubai Islamic Bank edged 0.6 percent lower. Heavyweight Arabtec Holding lost 2 percent after the construction company confirmed that it had appointed U.S.-based Moelis and Co to advise and assist with debt financial modelling and structuring options. Low-cost airline Air Arabia fell 1 percent. The company postponed a board of directors meeting, where it intends to discuss third-quarter results. But major real estate stocks rose, with property developer Emaar Malls gaining 1.1 percent after it reported a double-digit jump in quarterly profit, while Damac Properties rose 1.5 percent. The Abu Dhabi blue-chip index inched 0.2 percent lower, hurt by a 0.4 percent fall in First Abu Dhabi Bank and a 1.3 percent slide in Abu Dhabi National Insurance Co.
Qatar’s main index gained for a second consecutive session and was up 0.3 percent. The biggest boosts to the index were Qatar Islamic Bank , which rose 1.3 percent, and Qatar International Islamic Bank, which added 0.8 percent.